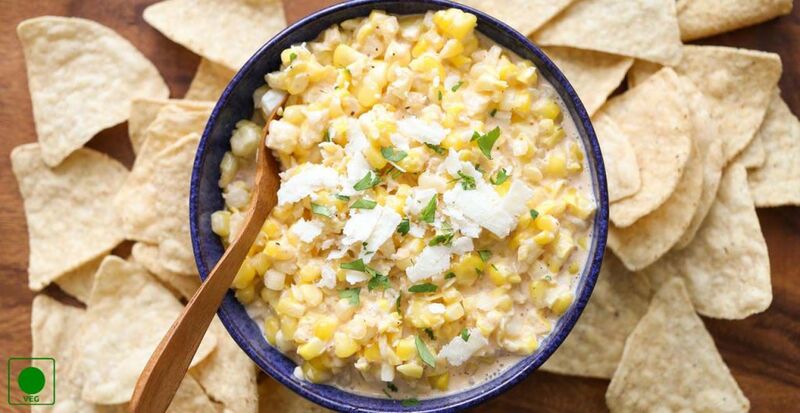 This delicious creamy corn dip is a good accompaniment with chips. Corn dip is a mouthwatering dish which you can enjoy anytime with your family andamp; friends. Let’s learn how to make corn dip recipe quickly. 1. Whisk fresh cream properly to make it a little thick. 2. Add cream cheese, curd, tomato catchup, corn, celery, salt and pepper and mix it well to make the dip. 3. Serve with potato chips, salad slices or banana wafers.